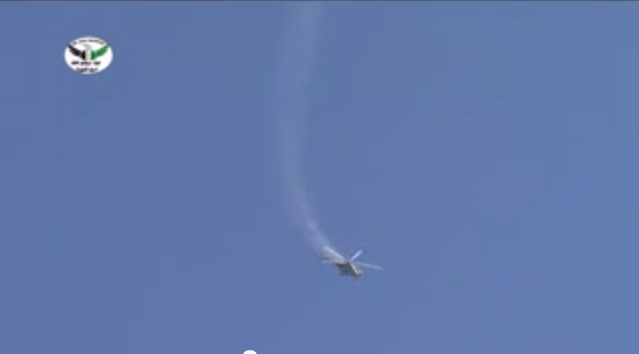 Syrian government helicopter gunship falls towards the ground before exploding. Screencap via YouTube, via the Aviationist. I hope I’m wrong, but I don’t expect the four day Id al-Adha cease-fire in Syria to last the weekend. 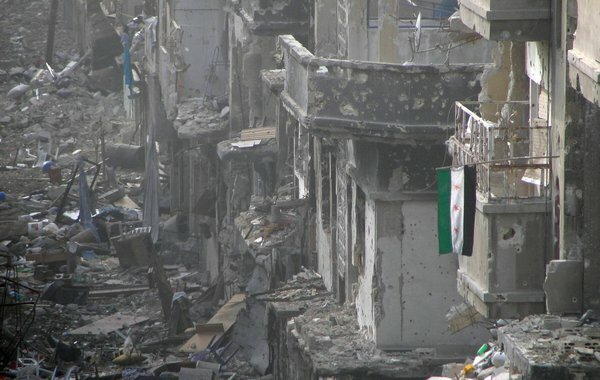 Even setting aside the fact that one group, Jabhat al-Nusra, disavowed the cease-fire before it went into effect, and the fact that there were sporadic clashes on its first day, cease-fires with clear expiration dates face a structural problem. As the end of the cease-fire period (in this case Monday) nears, there is an incentive for each side to go on the offensive before the cease-fire ends, to get the jump on the other guy. But of course the other guy knows that, and so has an incentive to move a little bit sooner than the first guy, who knows that, and so has an opportunity to attack even sooner, and so on and so on. So while the cease-fire does seem to have dampened the fighting a little bit so far, it wouldn’t be surprising if it starts to unravel over the weekend. This problem would be mitigated if both sides knew that it would be clear who broke the cease-fire first, and if there are real costs to doing so. To the extent that the Free Syrian Army hopes to maintain the sympathy of most of the outside world (and the hope of intervention on their behalf), it has an incentive not to be seen as breaking the cease-fire first. The Government is probably also hoping that its willingness to agree to it will shore up international support at least a little bit. But this is a DIY truce — there will be no monitors to observe compliance. So it will be very hard for outsiders to tell who started it if fighting resumes. The military incentives to strike first, coupled with plausible deniability, make it unlikely that the truce will hold. Even a short and incomplete cease-fire will bring some respite to those living in the midst of this grinding conflict. If the international community can get even a little humanitarian aid into Syria over this holiday that will be all to the good for those on the receiving end of it. And it is possible that the cease-fire will defy expectations and will more or less hold for the holiday weekend. If so, that might build a modicum of trust that could provide a bit of momentum to negotiations. But if it falls apart completely, it could just as easily undermine whatever tiny bit of trust enabled the temporary cease-fire. You make a very good point that truces with expiration dates lead to centipede game dynamics, wherein incentives to move just before the deadline “unravel” backwards. 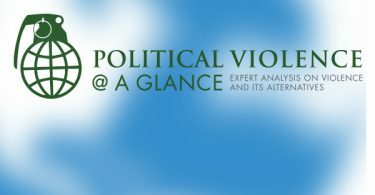 A further dynamic is likely to prove problematic as well – the potential for the truce to be used deviously by both sides. A ceasefire affords both actors time and relative freedom of movement, which they often use to increase their fighting capacity, like the LTTE did during all four ceasefires in Sri Lanka. Concern that the opposition is taking these steps gives actors incentives to not agree to a ceasefire in the first place (like we saw last Spring in Syria) or to not uphold it (like is currently happening). I examine this dynamic more fully in my dissertation, a preview of which can be found at http://www.nathandanneman.com.